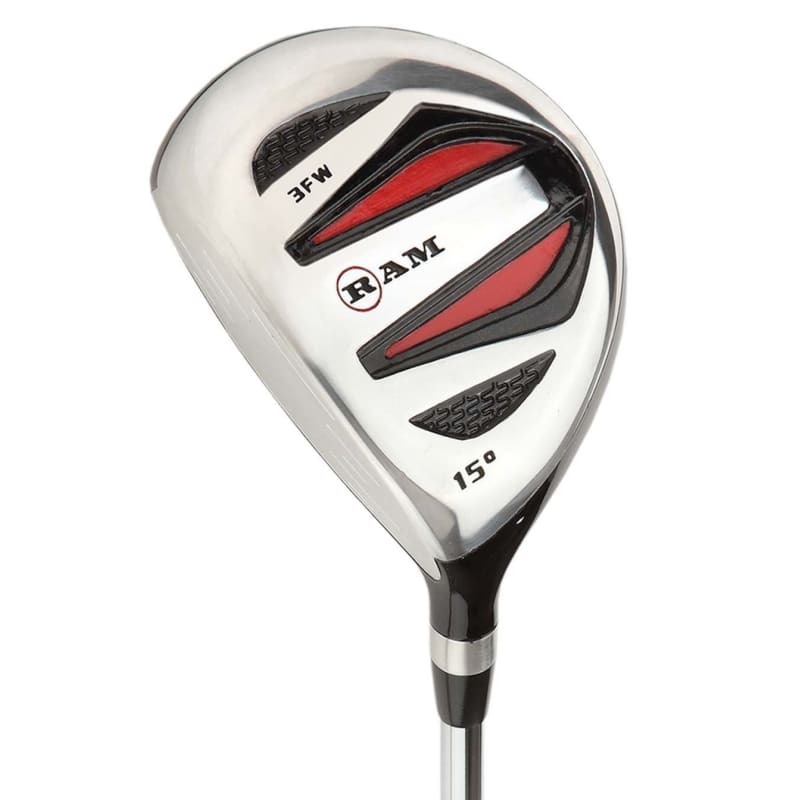 This is a great value driver, designed particularly for beginners and improving golfers. 15° #3 head and 18° #5 head - gives you a huge sweetspot and more forgiveness, and just inspires confidence when you address the ball. 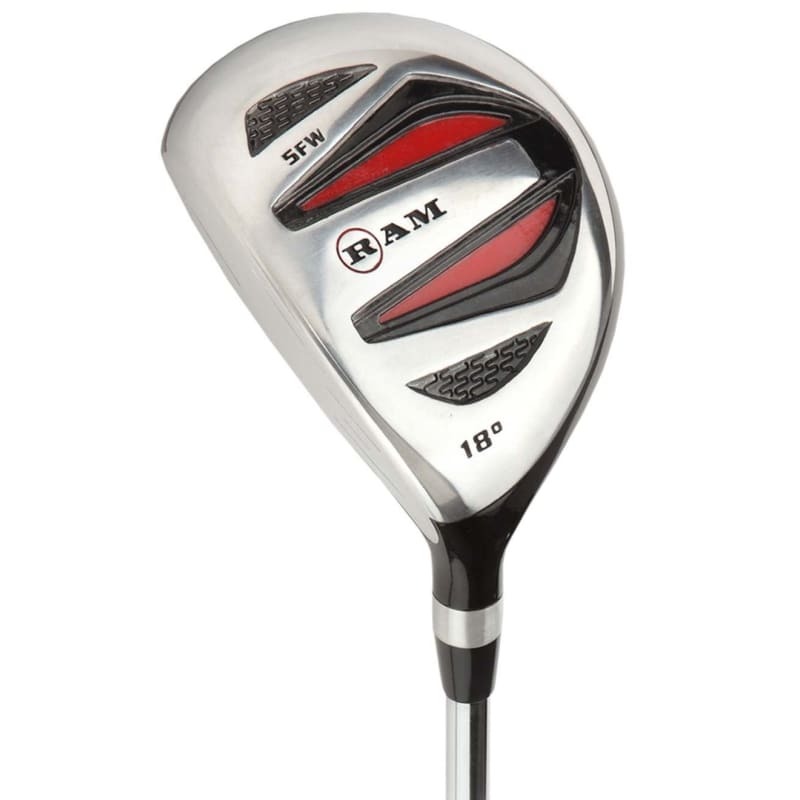 Steel shaft - cut slightly shorter than graphite - gives you greater control. Regular flex. Shaft length: 42"
Fitted with a Ram All Weather grip.